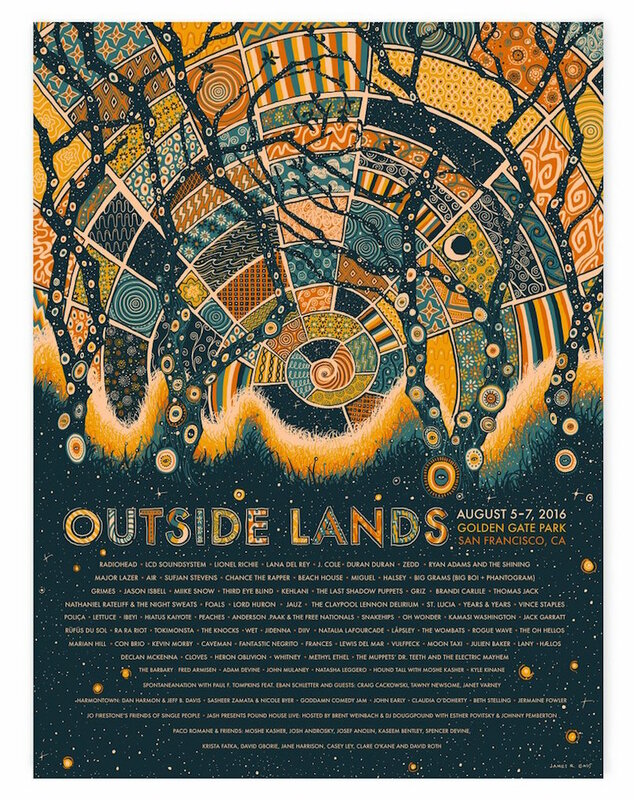 James Eads just released copies of his Outside Lands festival poster. It’s an 18″ x 24″ screenprint, has an AP edition of 50, and costs $45. Visit JamesREadsMerch.com.